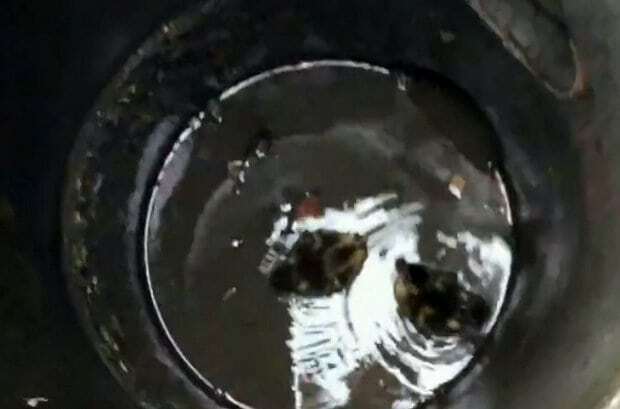 Footage shows the ducklings being scooped up by Jim Robinson who noticed they were stuck while on an walk through the east side of Lancaster University campus. The ducklings were then placed into a large metal pan half filled with water. 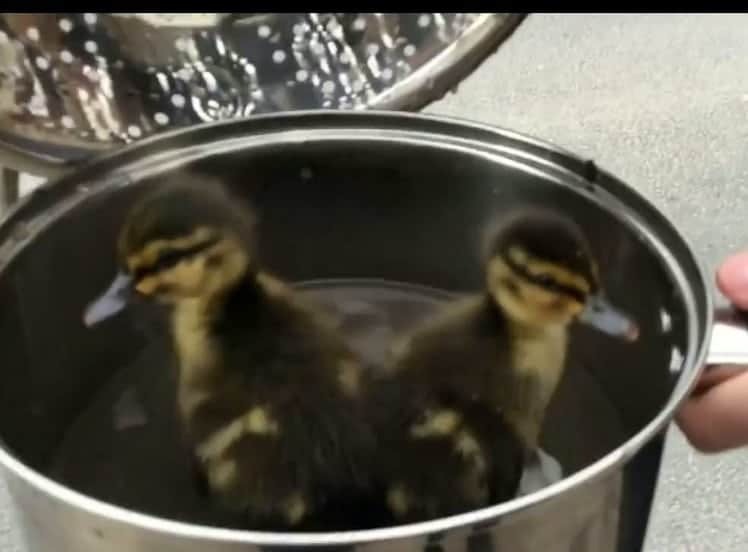 It’s believed the tiny ducklings simply fell trough the grate and had been stuck for around 15 minutes before being rescued on April 20 this year. Hero Jim said: “The mother had already left by the time I got there. “Although, from what I know of ducks, I assume she quickly realised they were stuck and left; they are known to treat their young this way. It’s believed the university recently started placing covers over the grates close to where the ducks are commonly found – which has since prevented similar accidents.